At the disposal of the diagnostics department of Apollo, is a unique range of instruments. They make it possible for our highly qualified specialists to do a wide set of tests. The department is excellently equipped: it can do ultrasound tests and X-rays as well as MRI and CT scans. The new multi-spiral CT-scanner makes it possible to get cross section and also three dimensional images of the organs. The hospitals’ services are supported by sophisticated technology that is made available to improve the precision and speed in diagnosis. 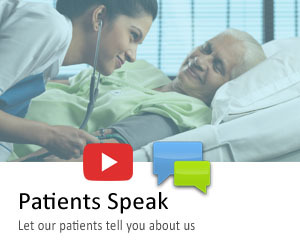 The use of technology by experienced medical professionals in enhancing patient care is special to the Apollo service. The latest technology is effectively employed in diagnosis as well as treatment of the patient. 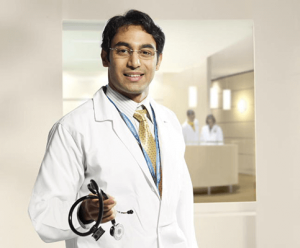 Service excellence is achieved through an ideal blend of medical brilliance and personalized care. Keeping with the tradition of delivering healthcare on par with the best in the world, Apollo relies a great deal on innovation, introspection and improvement to render tender, loving patient care. The Department of Radiology and Imaging and Interventional science consists of the latest equipment manned by qualified doctors and offers 24-hour elective and emergency services. This is the largest Radiology department under one roof compromising of state-of-the-art supraconducting MRI of Phillips make, Spiral CT scanner, 3D advanced Color Doppler & sonography imaging system from ATC & GE etc. This department has 800 MA & 500 MA systems exclusively on IITV. All the contrast investigations are performed under direct vision. This is the only department in the state to have dedicated Cathlab exclusively for radiological procedures. Advanced interventional Radiological procedures are done regularly such as Cerebral angiograms, embolisations of cerebral AVMs and Tumors, Endovascular coiling of cerebral aneurysms. Endovascular management for gastrointestinal haemorrhage and percutaneous stenting of biliary system, Trans-jugular portacaval stenting as a therapy for cirrhotic patients to correct bleeding without surgery. Transhepatic biliary drainages and stenting of biliary system are also routinely practised. The 1.5 Tesla MRI with Ambient Experience from Philips Medical Systems is the first of it’s kind in India and exemplifies the patient centric nature of the MRI with great imaging technology at it’s heart. With 16 times faster imaging, the MRI room transforms itself into a patient-friendly ambience with patient’s choice of animations, synchronized soothing music and room lighting. It is the only unit for CSF flow in the state to diagnose Dementia (old age related). Advanced MR Angio package to image the blood vessels of the head and body without injecting contrast media. MR guided interventional procedures are also being practiced routinely. Incidence of heart diseases is increasing at a tremendous pace and more Indians are dying due to heart diseases than citizens of any other nation. The only way to tackle this problem is to screen large sections of our population identify those at risk and introduce appropriate interventions. 64 Slice cardiac CT Scan from Philips Medical Systems launched at Apollo Health City, Hyderabad is acknowledged to be the quickest, safest, most convenient and most accurate producing high resolution images of the heart. In addition to the heart it is an extremely powerful diagnostic tool for other organs of the body. Can study 40 cms of any part of the body in 42 sec. With instant image reviewing on console. It also has bi-directional spiral scanning facility. High resolution scans for minute structures like internal ear, pituitary glands, sinuses, lungs etc. High quality x-ray screen mammography is the most important factor in early detection of breast abnormalities. Positron Emission Tomography (PET) is a powerful imaging technique that holds great promise in the diagnosis and treatment of many diseases, particularly cancer. A non-invasive test, PET scans accurately image the cellular function of the human body. PET (Positron Emission Tomography) and CT (Computed Tomography) scans are both standard imaging tools that physicians use to pinpoint disease states in the body. A PET scan demonstrates the biological function of the body before anatomical changes take place, while the CT scan provides information about the body’s anatomy such as size, shape and location. By combining these two scanning technologies, a PET/CT scan enables physicians to more accurately diagnose and identify cancer, heart disease and brain disorders. PET scans give information about the body’s chemistry that is not available with other imaging techniques. PET scans reveal metabolic information (as opposed to anatomical information), providing your physician with extra insight. PET scanning often reveals disease much earlier than conventional diagnostic procedures (such as CT or MRI); it can help physicians diagnose disease faster. PET is a procedure that is able to detect small cancerous tumors, and also subtle changes in the brain and heart. This enables physicians to treat these diseases earlier and more accurately than if they waited for the results from other detection modalities. A PET scan puts time on your side! The earlier the diagnosis, the better the chance for successful treatment. PET scans offer patients hope. PET can detect disease sooner and the earlier the detection, the more likely the cure! Prior to changes in structure that normally would show up on a CT or MRI scan, a PET scan can reveal metabolic changes in the body. Cancer is a metabolic process and PET is a metabolic imaging technique. PET shows the extent of disease – called staging – of lung cancer, colorectal cancer, melanoma, head and neck cancer, breast cancer, lymphoma and many other cancers. For patients whose cancer is newly diagnosed, it is important to determine if the cancer has spread to other parts of the body so that appropriate treatment can be started. PET can search the entire body for cancer in a single examination with a “whole body scan,” revealing the primary site (s) as well as any metastases. PET shows whether a tumor is benign or malignant. Reports in scientific literature find that, in some tumors, PET correctly identifies detected lesions 95% of the time. Painful, costly and invasive surgery, such as thoracotomy, may no longer be necessary for diagnosis. PET shows the effectiveness of therapy. It is an excellent way to monitor progress and test recurrence of disease. For example, an ovarian cancer patient with a blood test that indicated a rise in her tumor marker levels had a PET scan after both CT and MRI scans were still registering no cancer.